Ideas for Scrapbookers: Create a background from Strips of paper! Create a background from Strips of paper! There are days when I can't decide what paper to use in a layout and I just want to use all of the choices in front of me. I probably have more fun choosing the paper for my layouts than the embellishments, which somehow seems backwards to me. 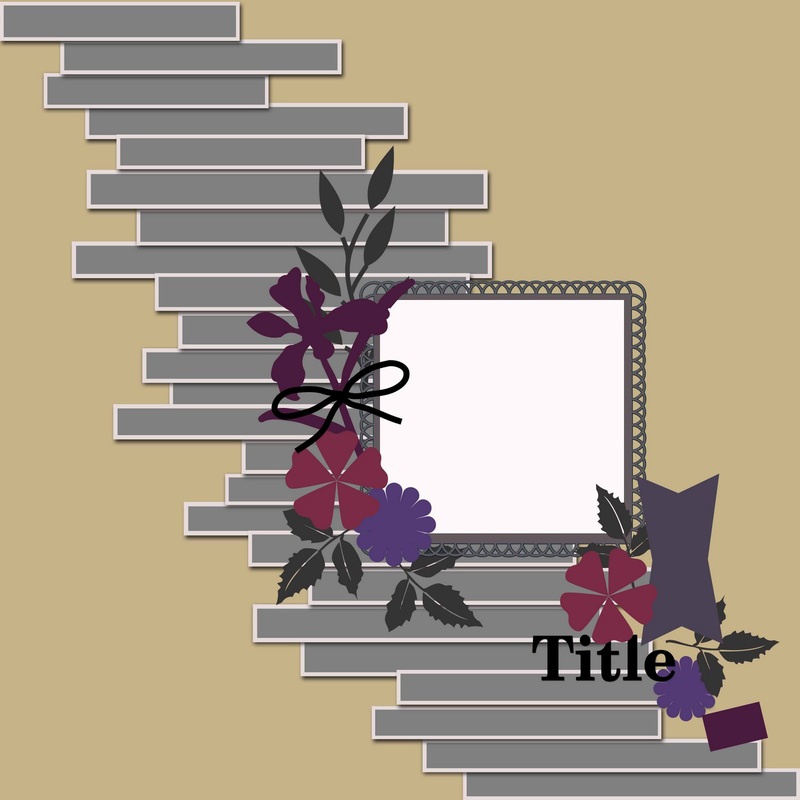 Anyway, I thought of using strips of paper to build a background so I could include all the pretty papers I wanted. Here is the layout I came up with using strips. I have four different papers here all coordinating colors, but could easily have used even a greater variety. I like the rich colors in these papers that have a touch of softness. This is actually digital layout even though when I started out with this idea my plan was to raid my scraps (I have a whole file of them) and do a paper layout. The kit is called "love yourself" and it is a collaboration by the Scrap Matters Design Team. 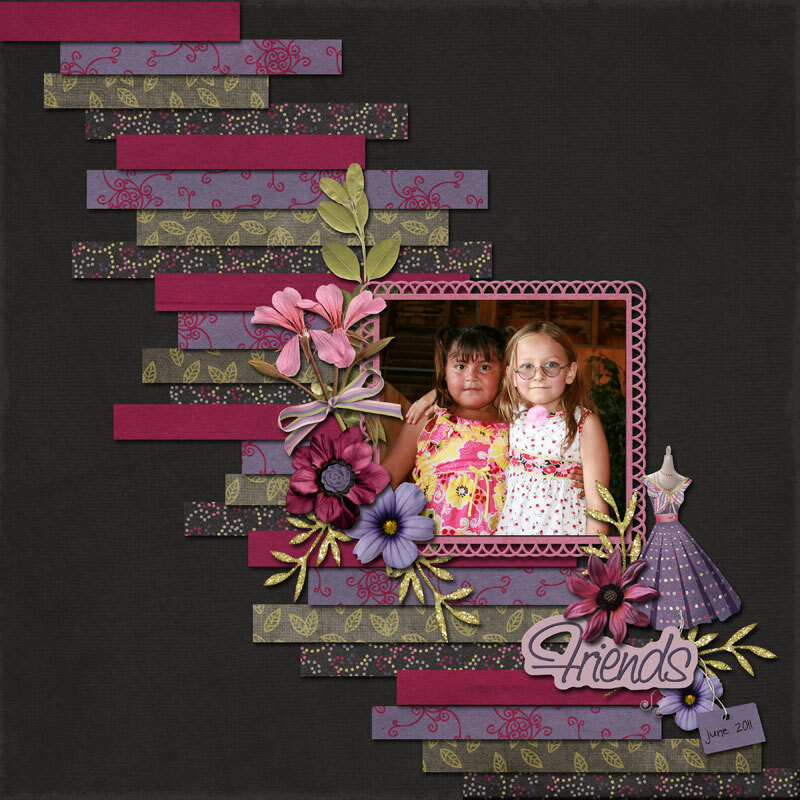 If you love paper scrapping, working with strips is perfect for using up those scraps. Here is my sketch. For those of you who would like to experiment with strips digitally, I have a template to share. You may download it at either of the two file sharing sites below. Hope you look at your scraps differently and give this a try. If you are a digital scrapper, don't rule out strips of paper when creating those great pages! Thank you so much for this post. 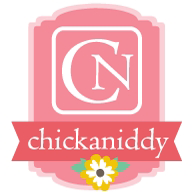 I want to let you know that I posted a link to your blog in CBH Digital Scrapbooking Freebies, under the Page 3 post on Jan. 24, 2012. Thanks again. Thank you! I love the paper strips idea! Thank you for such a fabulous template! Your layout is gorgeous and since I have that kit I will be using it to lift your layout! I hope you will show it off at ScrapMatters. Sounds like a great way to use up some scraps! Great idea!! Great for us to use the stash of paper that we keep!! Wow - this is beautiful. Great idea! For those of us that "old fashioned" scrap book, do you know the size of the strips? Love this! The strips vary in size from about 3.25 to 4.5 inches wide and are approximately .5 inches tall. Hope that helps! Linda tarjeta.. Mucha creatividad Bendiciones ! 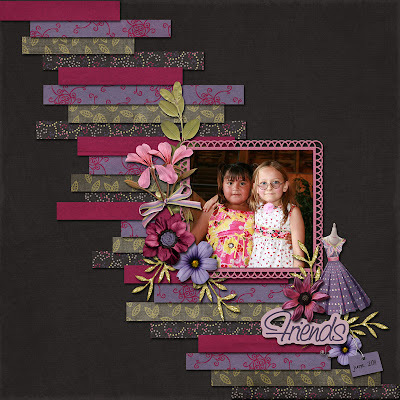 Create a pretty punched border for your layouts!